- Ramzy Baroud is a journalist, author and editor of Palestine Chronicle. He has authored a number of books on the Palestinian struggle. The Nationality Law also states that the State of Israel is the nation-state of the Jewish people and that Hebrew is the official language of the state. Arabic, spoken by the Druze community, was downgraded as an official language and defined as having a special status, with the official state use of Arabic to be determined in separate legislation. 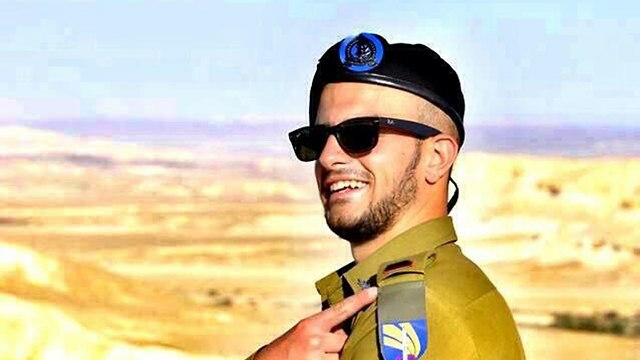 Shady Zidan, 23, announces on Facebook intention to quit the IDF after five years of service; 'I have given the state my soul, I have risked my life. Today I refused for the first time in my service to salute the flag,' he writes, as Druze leaders call for calm and urge soldiers to leave political disputes outside the army. 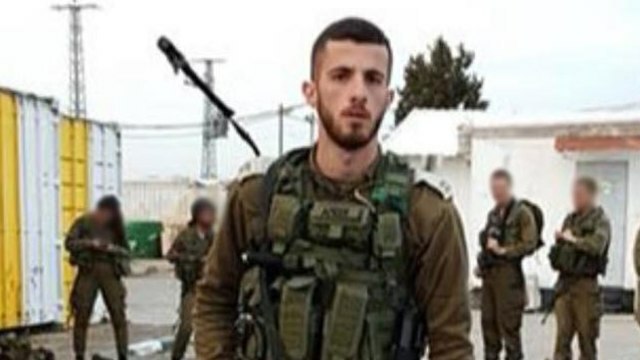 A Druze IDF officer announced on his Facebook page Tuesday that he intends to resign from the army in protest against the Nationality Law, which has caused controversy since it passed into law in the Knesset earlier this month. The clause stating that only Jews have the right of self-determination in the country has been the subject of fierce criticism and has caused offense among the Druze minority, many of whom serve the country loyally in the IDF. “I have decided to stop serving this state,” wrote 23-year-old Shady Zidan, the second Druze officer to announce his protest resignation. “Until this day I have given the state my soul, I have risked my life. Until this day I stood by the state’s flag with pride and saluted it. Until this day I sung the national anthem ‘Hatikvah’ because I was sure that this is my country and I am equal to everyone. But today, today I refused for the first time in my service to salute the flag, I refused for the first time to sing the national anthem,” said the officer who has been in uniform for five years. “I am not a political person and I am not someone who cares about politics. But!!! But I am a citizen like everyone else and give my entire being and beyond to the state and in the end, am I a class B citizen? So no thank you, I am not prepared to be part of this and therefore, I am also joining this campaign, and therefore I have decided to stop serving this country. Thank you, State of Israel,” he said. Following the post’s publication, heads of the Druze community in Israel, including spiritual leader Sheikh Mowafak Tarif, urged the community to leave political disputes over the Nationality Law outside the IDF. “Members of the Druze community serve and will continue to serve in the IDF with their heads held high, with determination and out of a sense of obligation to their homeland," a statement said. On Sunday, Druze officer Capt. Amir Jmall wrote an open letter to Prime Minister Benjamin Netanyahu decrying the law. “Mr. Prime Minister, I have sat by myself and after many thoughts that have gone through my head, I have decided to express my opinion about the Nationality Law that you and Knesset members have implemented," wrote the officer on a Facebook post, before deleting it shortly after. “My two older brothers were also combat soldiers who participated in Operation Cast Lead and Operation Pillar of Defense and I participated in Operation Protective Edge. 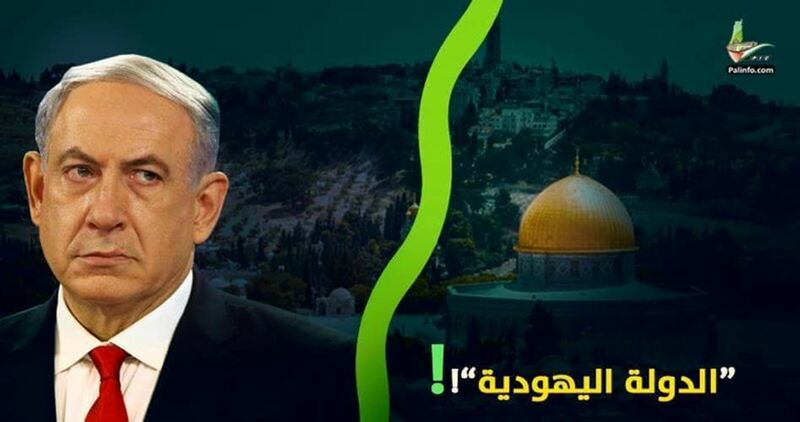 I wanted to share with you, Mr. Prime Minister, and with all the people of Israel what I feel at the moment and share with you the thoughts that are running through my head,” wrote Jmall, a company commander. “This morning when I awoke to drive to the base I asked myself why. Why should I serve the State of Israel, the state that I and my two brothers and my father served with devotion, a sense of mission and with love of our homeland when in the end what do we get? To be class B citizens? To continue to serve the country?” he asked. “I don’t want to continue and I am sure that hundreds more people will stop serving and ask to be discharged from the IDF due to your decision, Netanyahu—yours and your government,” the officer continued. The IDF released a response to Jmall’s post saying that “soldiers and officers, members of minorities, in mandatory, permanent or reserve service have been and will always be a central part of the IDF, on the battlefield and in routine times. Their contribution throughout the years is worthy of praise and the alliance with them has been forged in blood. 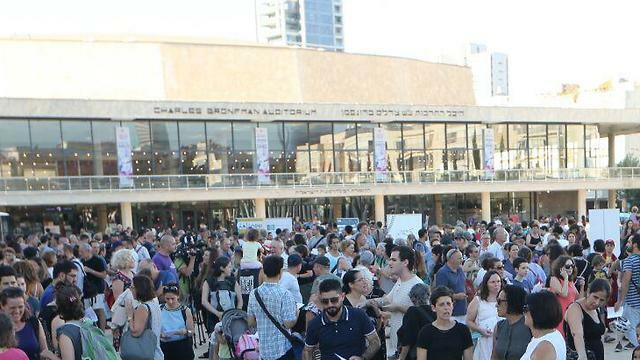 “The IDF is a stately people’s army, and unity among the ranks is stressed in all types of activities regardless of religion or gender,” the statement said, before reminding Jmall of IDF protocol regarding political statements. “The expression of a political statement is not authorized by army orders. The officer was invited to speak with his commander,” it said. Since the law’s passage, the prime minister and President Reuven Rivlin have scrambled to mollify the Druze copmmunity by holding meetings with its leaders. 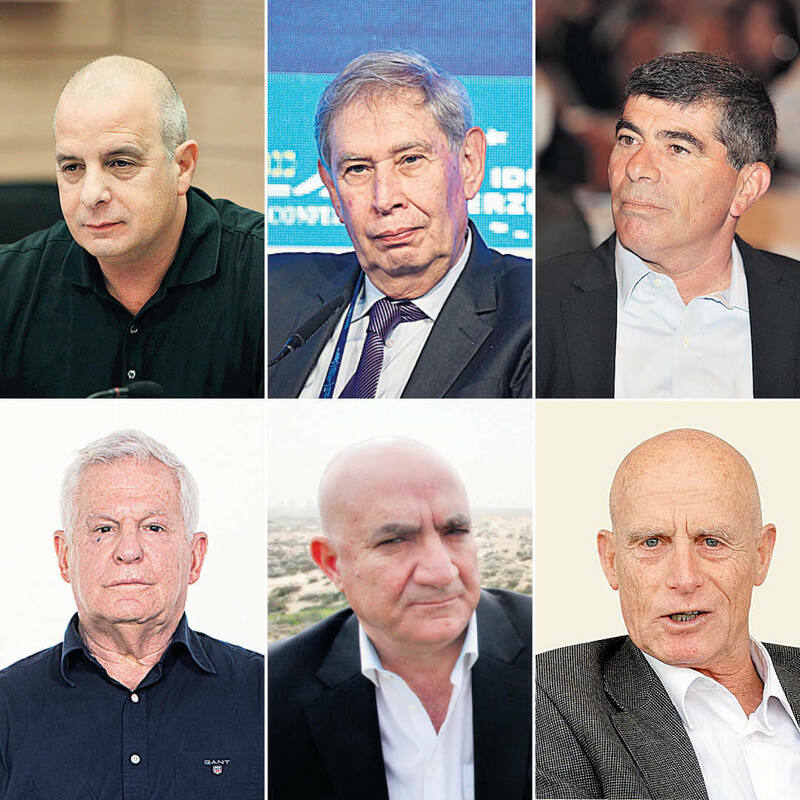 On Sunday, the Druze community leaders met with Rivlin in order to once again express their position over the Nationality Law which they describe as discriminatory. “The partnership between us is ingrained in the foundation of this country. This is the basis, to live in cooperation, in the country we have established … in full partnership with all those who live in this good country, which is good to everyone and we can retain this equation with no problem,” Rivlin told the leaders. Two days prior, Netanyahu met with Sheikh Tarif at the Prime Minister's Office in Jerusalem in an effort to mend the rift. We welcome you both to Democracy Now! Yousef, let’s begin with you. If you can talk about what’s happened in Gaza right now, the death toll up to 140, and then move on to the law that was just passed on Thursday? RV: Well, here in the United States, I think it’s been interesting, because there’s much more unanimity than there usually is against this bill—you know, everyone, from J Street to the American Jewish Committee to the Reform and Conservative movements, which together represent half of American Jewry. Even some right-wing organizations like the ADL have had some limited concerns about the bill. 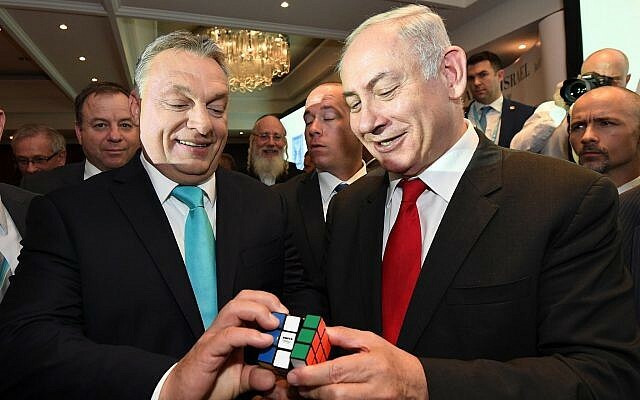 And I think it’s a reflection of—you know, Peter Beinart sort of had this seminal essay that he wrote in 2010, which talked about the ways that the Israeli—the Jewish Israeli population was moving to the right, and the American Jewish population is staying sort of liberal and progressive, and there’s a split that’s happening. And I think we’re seeing the fruition of that, and people are just horrified by the sort of extreme-right-wing agenda that I think the Netanyahu government is feeling empowered by the Trump administration to enact fully. 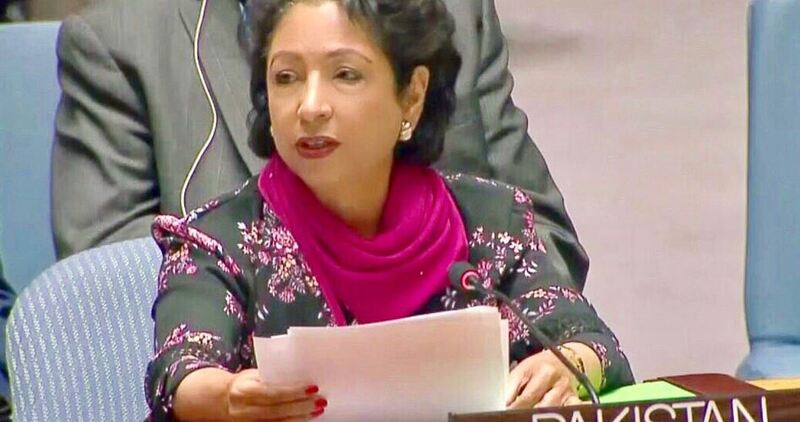 In an open debate on Middle East situation at the UN Security Council, Pakistan's permanent representative to the United Nations, Maleeha Lodhi, said such racist laws should have no place in today’s world. President of the Tunisian People's Congress Mohamed al-Nasser has denounced Israel's declaration last week of the country as a Jewish nation state, calling it a racist law that runs contrary to all international laws and conventions. Nasser confirmed his country’s support for the Palestinian people and their just question and struggle for freedom and human rights. This came in the reception of the Arab MK Ahmad al-Tibi in the headquarters of the Tunisian Parliament on Tuesday, with the presence of his deputy Sheikh Abdul Fattah Mourou and Hisham Mustafa, first counselor of the Palestinian Embassy in Tunisia.